That 1969 version of the Skyline was a touring car like no other. Taking cues from the Nissan Prince R380 racing prototype, it relied on a four-valve Dual Overhead Cam engine for power and four-wheel independent suspension for its remarkable handling. The car obliterated the competition in Japan's domestic touring races, winning 52 races in its first three years of competition. The first two-door version was introduced in 1970. It was a successful launch and a well-received car, but a global gasoline crisis and a move towards stricter emissions standards put the Skyline on the shelf for a time. From 1972 to 1977, the C110 generation Skyline was produced, this time though it was known as the Datsun K-Series, and four years later it went through another name change – it was now to be known as the R30. The R30 was a successful and remarkably versatile design, available as a coupe, four-door sedan, five-door hatchback, and a four-door wagon. All told, the R30 was available in 26 variations, none of them really hinting at what the Skyline would one day become. 1986 saw the introduction of the R31. It was a little bigger and boxier than previous models, and was the first to get the famous "Red Top" Skyline engine with red cam covers and the Nissan Induction Control System. The Skyline had been through many phases, but it was in 1989 that the real precursor to the GT-R® of today was introduced. 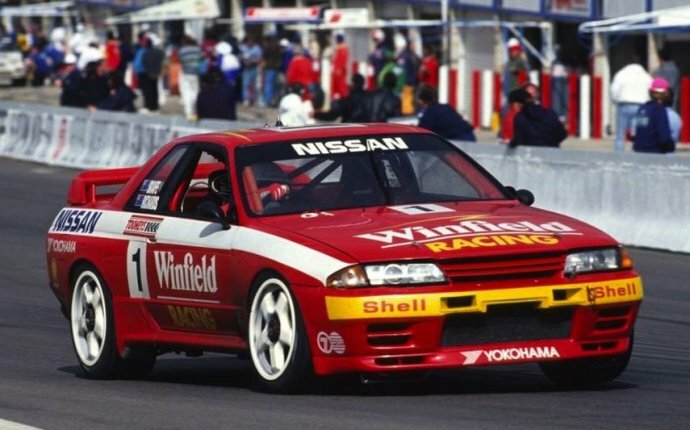 The R32 Skyline had allwheel drive and the famed Nissan RB26DETT inline six that pumped out 280 horsepower. It still wasn’t sold in America, but the JDM (Japanese Domestic Market) model was and still is a legend in the American tuner community, and a lucky few aficionados were able to legally import them to the States and had them modified to meet US emissions regulations.